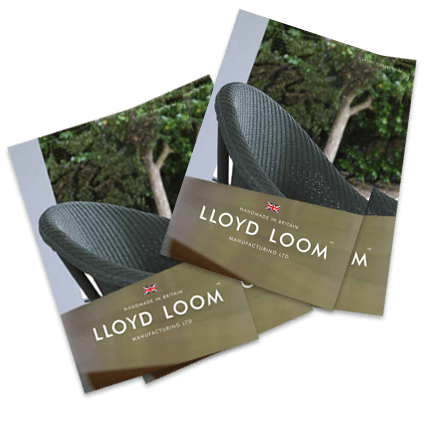 At Lloyd Loom Manufacturing we spray all our Lloyd Loom furniture with a specifically formulated paint, designed to be both durable and attractive. Whilst we have tried to pick a broad range of colours for our standard offering we understand that they won’t be to everyone’s taste – that’s why we’ve teamed up with Little Greene Paint to provide you with an extended pallet. Our indoor traditional weave Lloyd Loom furniture is available in any of our standard 12 colours – samples of these are available from your retailer or from the company. Select any of these colours at no additional charge. Lloyd Loom Manufacturing also offers furniture in Little Greene paint colours. You may also choose F&B or one of the 1000 RAL colours available. There is a surcharge of 10% for non-standard colours or for old Lloyd Loom colours that you may wish to match and that we can still supply. Please contact us for swatches if exact colour match is critical. Little Greene is an independent, British paint manufacturer, committed to the socially and environmentally responsible production of high quality paints and wallpapers. Dating back to the year 1773, the Little Greene Dye Works of Collyhurst Wood, on the outskirts of Manchester is one of England’s most ancient industrial sites for the making of paints and dye solutions. Senna, a versatile linen look plain woven fabric with a beautiful finish, a natural look makes this a perfect choice for modern interiors. These fabrics are available as standard on our furniture. Coastal, a brand new collection from which we have selected 10 glorious shades, with our Lloyd Loom this fabric will suit most interiors & give you a stylish look. We strive to ensure the fabric we use match the quality of our furniture. That is why we have partnered with Clark & Clark to enhance our fabric selection offering excellent quality, innovation and customer service. We also offer a complete COM service. Please contact us for details, measurements and advice.